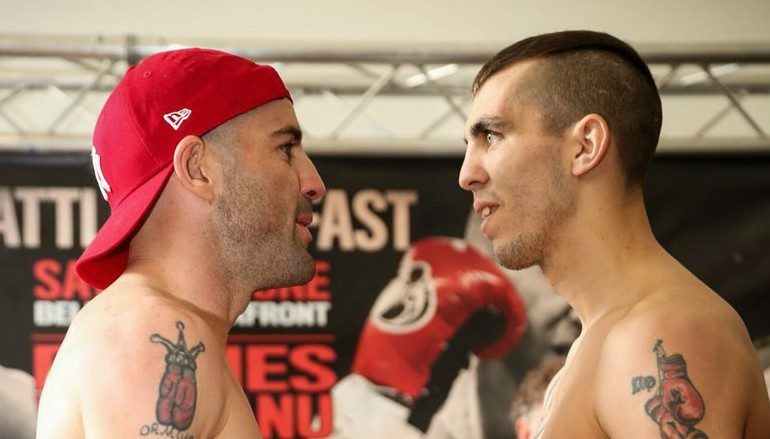 This weekend, Blackwood’s Craig Evans (16-1-2, 3KO) is in Northern Ireland to take on his toughest challenge yet. The lightweight will defend his WBO European title over 10 rounds against Dublin’s Stephen Ormond (24-3, 13KO), who held the same belt until 2015. 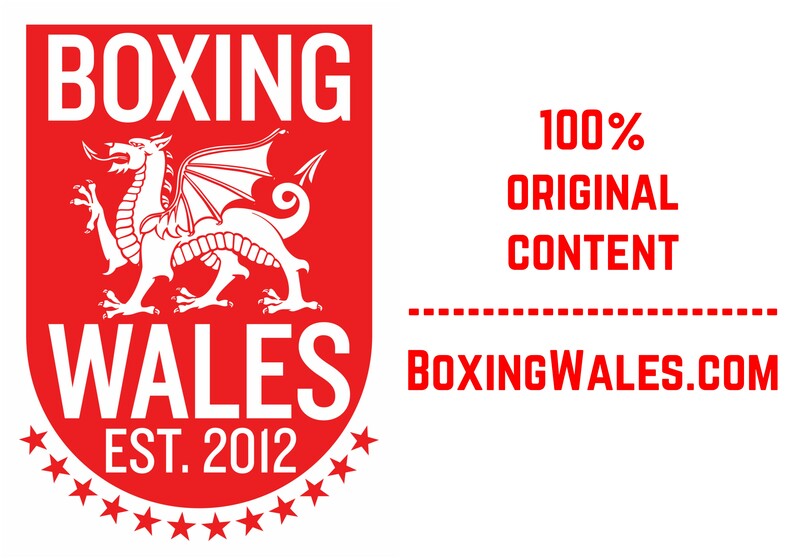 It will headline Frank Warren‘s show with Mack The Knife (MTK) Global at the Waterfront Hall in Belfast, live on specialist outlet BoxNation. 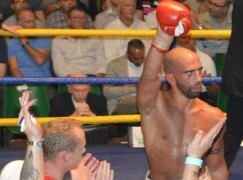 Evans captured the title in front of his home fans with a Majority Decision win against Team GB’s 2012 Olympic captain Tom Stalker in November. It followed their two storming draws and concluded an entertaining trilogy. The third performance was arguably the best of the Welshman’s career. That was seven months ago and Evans, who is trained by Tony Borg at St Joseph’s Boxing Club in Newport, had been keen to remain more active. 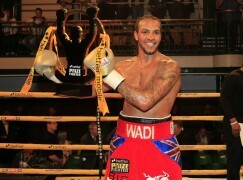 Evans turned professional in 2010, making do with an average of three fights per year, despite always being willing to face any of his domestic contemporaries. The 27-year-old insists he can still make the super-featherweight limit, five pounds south of where tomorrow’s fight will take place. It’s possible that the champion will give away a size advantage to the harder-hitting Ormond. ‘The Rock’, as he’s nicknamed, is stocky for the 135lbs division and has been tight at the weight on previous occasions. Ormond was set to face Alejandro Luna in a final eliminator for the IBF title in August 2016, only to fail the scales by an unconfirmed amount and see the chance of his career slip through his fingers. However, Ormond looked solid at 134.8lbs, 0.2lbs heavier than Evans. The Paschal Collins trained 34-year-old insists he’s corrected his mistakes, swearing not to make them again. Ormond was once highly touted by those across the Irish Sea, the acclaim came courtesy of a hot run of form that dealt with Adam Dingsdale, Derry Mathews and Karim El Ouazghari in dominant fashion. Ormond has also now linked up with MTK Global and been kept busy with four fights in the last eight months. Even that spell has been an eventful down-and-up experience, though. It started off with a knockout loss to Hungary’s Zoltan Szabo, which was swiftly avenged on points two months later. The only other reverse on Ormond’s record came against Terry Flanagan – a disqualification due to several blatant head butts. 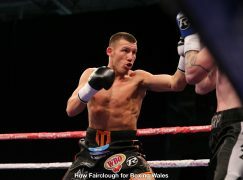 Ormond was frustrated by Flanagan’s southpaw stance and that will encourage Evans, another port-sider. Flanagan is also under the Frank Warren promotional banner and the winner will be eyeing a challenge to the WBO world champion in the future, if he’s still about. The WBO European bauble is certainly not an equivalent to the legitimate EBU title but it has helped Evans get recognised, securing a ninth place ranking, giving him hope of being chosen as a voluntary defence to Flanagan. Evans usually boxes on the back foot and would be wise not to stay in front of Ormond, while the Irishman’s approach is a lot more aggressive. There’s an argument that the challenger’s tactics will be similar to Ronnie Clark, who Evans widely out-pointed in 2014. Regardless of the comparisons, their respective styles should gel well. Both initiate exchanges and will be fit for the distance, where the judges may struggle to split them.